The Elder Scrolls Online v4.3.10 includes a few smaller fixes for dungeon and Trial content, gameplay, and a quest blocker for the main quest. We also have published a potential fix for an issue surrounding the ESO patcher; if you’ve been unable to patch recently, please try running the patcher again. The size of this patch is approximately 166.5MB. Added a new telegraph to Velidreth’s Shadow Spine ability to help visualize the timing of the damage. When the Shade of Galenwe hits a roaming Hoarfrost with his Spiked Ice ability, the Hoarfrost is now correctly destroyed and progress is awarded for The Mystic’s Ice achievement. Fixed an issue where Break Free and Bash could sometimes not cast properly while using Gamepad Mode. Fixed an issue where ability tooltips would display bonuses from the Slayer buff when not active (outside of dungeons and Trials). Fixed an issue that could occur when jumping to a friend while that friend was in another player’s home. The Tharn Speaks: Fixed an issue where the Tharn would not speak with you if you had completed the Elsweyr Prologue Quest. TES Online – How to Get TWITCH DROPS ! TES Online – Update 20 Info | Gets Easier to Build Home’s ! 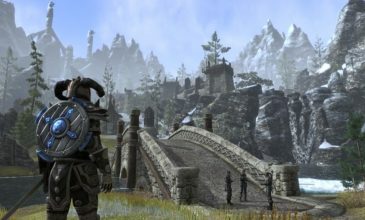 TES Online – Midyear Mayhem PVP EVENT Begins!